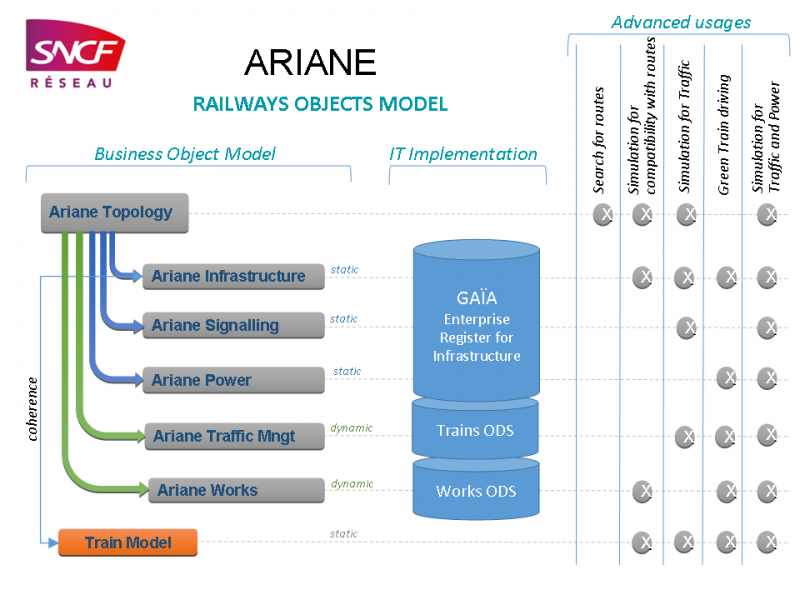 SNCF Réseau has worked since 2011 to develop its global model for railways business objects, Ariane Model, based on the same principles as RailTopoModel. Ariane Modelnow covers the description of all functional objects and properties of the network, at track and lines levels, including topology, referencing and topography. On 2015, fine routes description and signaling are being added, 2016-2017 will see the enrichment of catenary and power supply network, and finalization of rolling stock (for compatibility). In parallel, the trains (circulation) and works (engineering-maintenance projects) life cycle objects have been added to Ariane, so it will at the end include all objects related to Infrastructure Management and Operations. Based on Ariane Model, the global repository for Infrastructure, Gaïa, is designed to serve all new IT applications, in a full Object and Service Oriented Architecture. On same principles, an Operational Data Store (ODS) is implemented to collect, and structure on the Ariane common language, all business events processed by legacy systems related to capacity planning, train operations, and works planning.  This ODS is progressively the base for development of new applications in those domains. A major future development taking profit of those bricks (all objects and data based on a common language), will be simulation tools for both design and operations (simulate as it will operate). 9th RailTopoModel Conference – Thank you for your participation. Join the 9th RTM conference!